Welcome to the Dwarf Fortress Wiki. 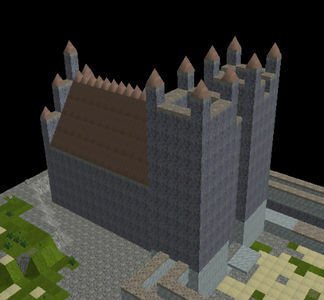 This is a collection of user-submitted guides, information and advice for Dwarf Fortress. Dwarf Fortress is a game for Windows, Linux and Mac, developed by Bay 12 Games featuring two modes of play, as well as distinct, randomly-generated worlds (complete with terrain, wildlife and legends), gruesome combat mechanics and ubiquitous alcohol dependency by dwarves.